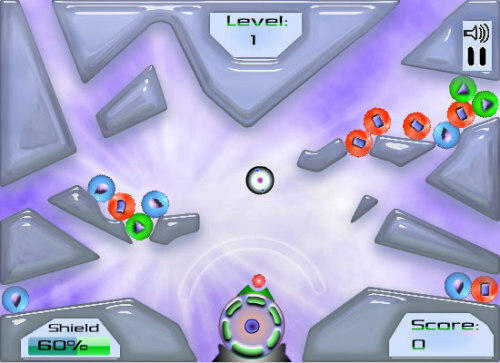 Description Gemgloboid is a mixture of shooter,pinball, get the right color and strategy games. Gemgloboids are invading your realm , obliterate them, before they reach you. Battle on three different stages, each with increasing difficulty. GemGloboid Resistance Battle is presented by cool games. Shoot at the gemballs with the right color to destroy them. In due times, shield upgrades will be sent to you, to power up your shield. The longer you hold down the left mouse button, the more speed your projectiles get.